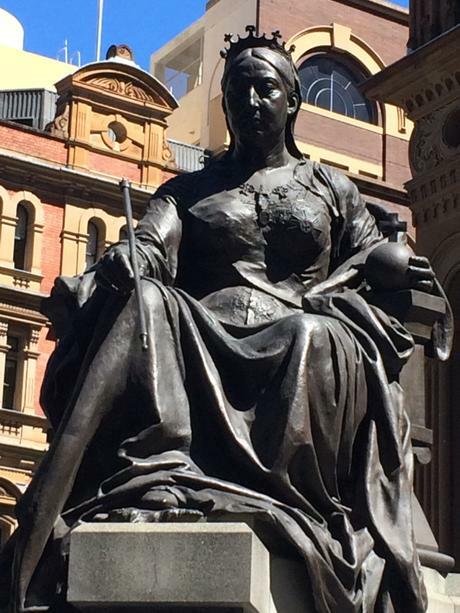 Did you realize this old girl turned 120 in July 2018? 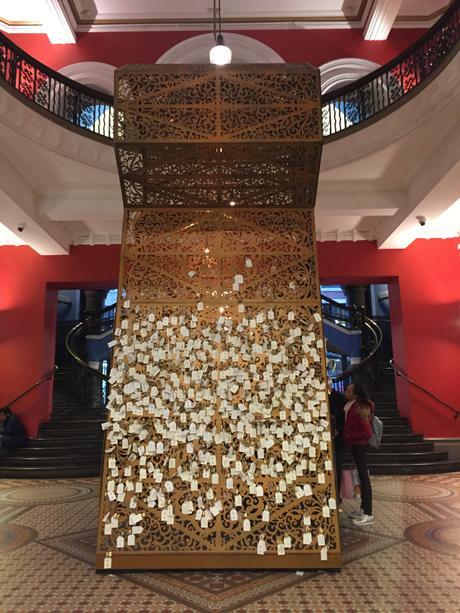 Celebrations continue until mid-August with a Memory Lock installation inspired by the ‘love padlocks’ of the Pont des Arts footbridge in Paris. 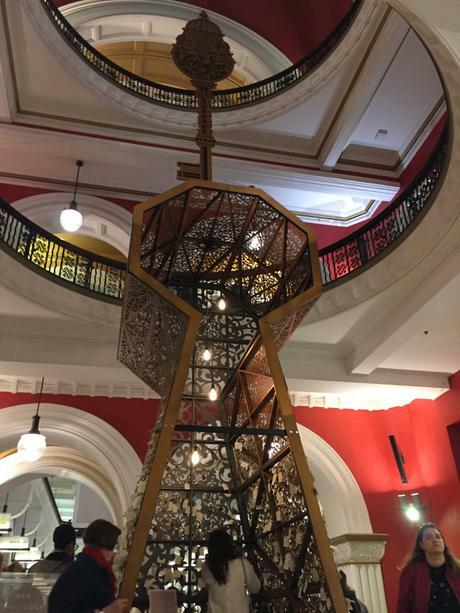 Designed by James Dive the 5m tall ironwork ‘keyhole’ installation is located under the QVB’s central dome. 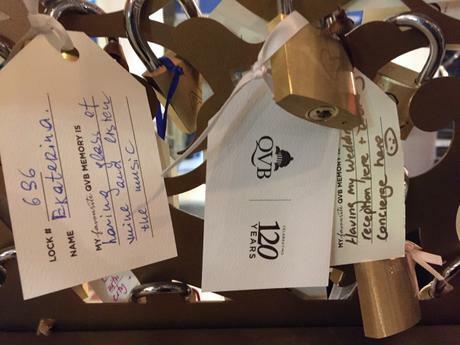 If you’ve had a memorable moment at the QVB you’re invited to share it by by writing it on a tag connected to a padlock and attaching it to the ‘keyhole’. 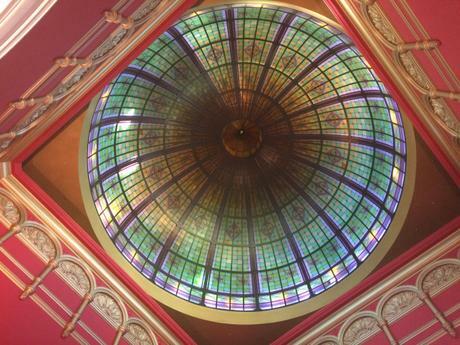 Everyone who takes part goes in a draw to win a high tea for six at The Tea Room in QVB. 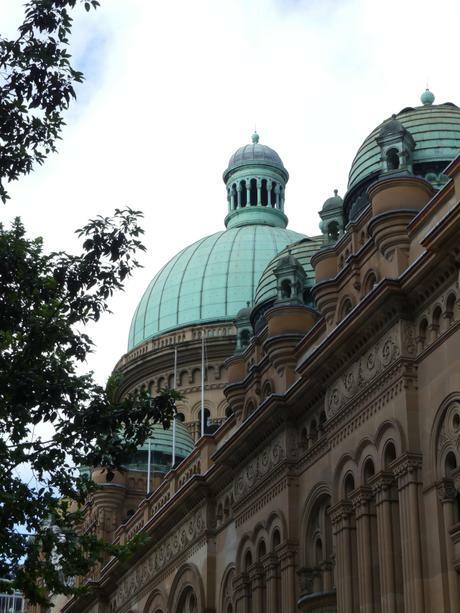 The QVB has an amazing story, so it’s worth taking the history tour that is offered every Tuesday, Thursday and Saturday at 11.30am. 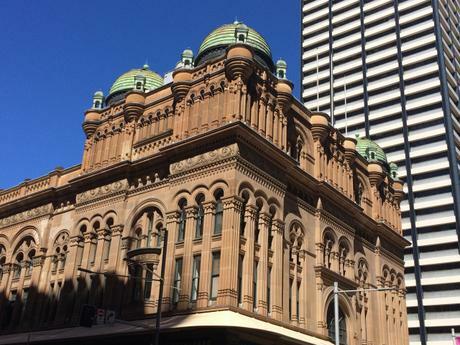 For $15 the 45-minute tour is jam-packed with facts and anecdotes. 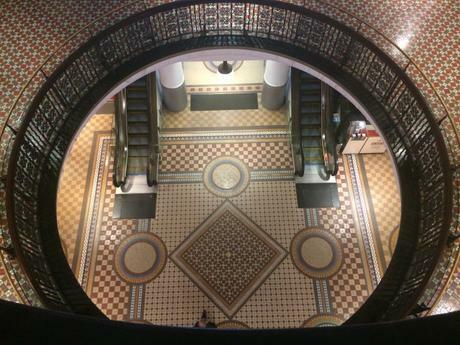 Did you realize the QVB was built on the site of Sydney’s original livestock and produce markets? 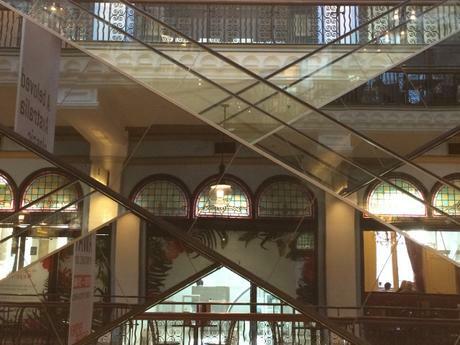 The markets were initially relocated in the basement of QVB and accessed via a lift that was big enough for a horse and cart. 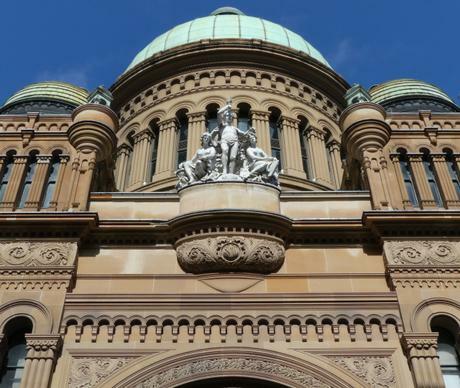 Lauded at its opening for innovative features like steel frame and barrel vaulted glass ceilings it is now regarded as an outstanding example of Victorian-Federation architecture. 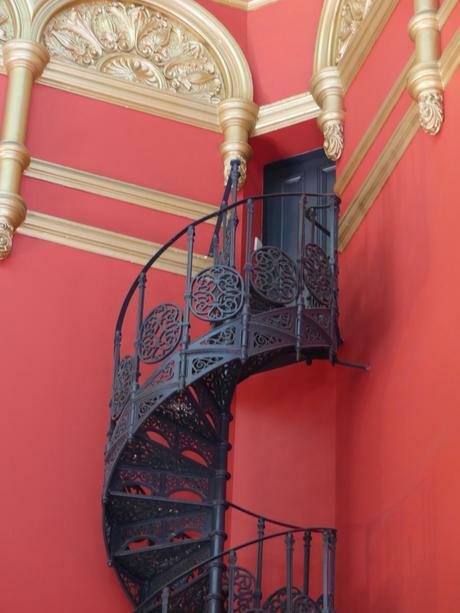 Many original features remain, such as stained glass windows, balustrades and tile, and are highlighted during the history tour.